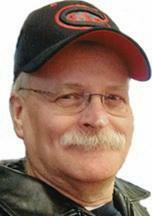 WATERLOO — James R. "Jim" Allison, 64, of Waterloo, died at home Saturday, Sept. 14, 2013, of cancer. He was born Jan. 5, 1949, in Faribault, Minn., son of Fred and Winifred Espe Allison. He married Gina Frost on Sept. 14, 1992, in Las Vegas. Mr. Allison has been a letter carrier with the U. S. Postal Service for 35 years. He was a veteran of the Vietnam war, serving in the U.S. Navy. Survived by his wife; a daughter, Mackenzie, at home; his mother of Denver; a brother, Gene (Mary) of Waterloo; a sister, LuAnn (Dennis) Peters of Denver; 13 nieces and nephews; and many great-nieces and nephews. Services: 10:30 a.m. Wednesday at St. Mary’s of Mount Carmel Catholic Church, Eagle Center, with burial in the church cemetery, where full military rites will be conducted by La Porte City American Legion Post 207 and VFW Post 3983. Visitation from 3 to 8 p.m. Tuesday at Hagarty-Waychoff-Grarup Funeral Service on West Ridgeway, where there will be a 4 p.m. rosary and a 7 p.m. vigil. Visitation will continue for an hour before services Wednesday at the church.